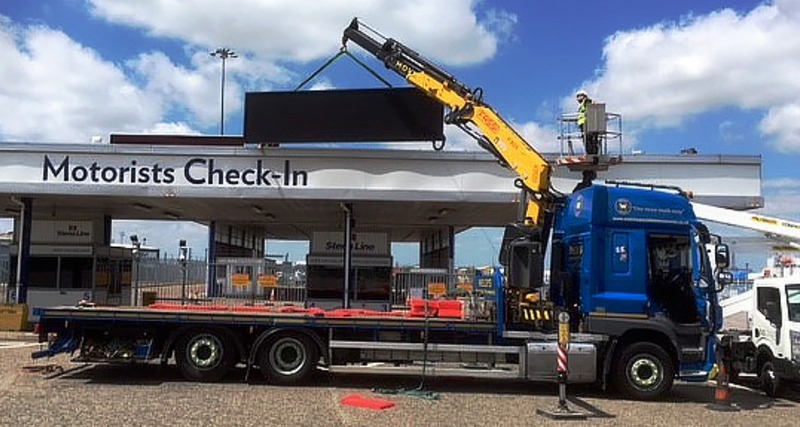 Last week saw the sixth install of an LED digital screen supplied by SIS Digital for Stena Line at the ports of Harwich International and Hoek van Holland. The LED digital screens are used for safety and passenger information as well as brand promotion. Due to the high salt content and sea spray, SIS Digital have built the screens into corrosive resistant structures to ensure longevity. This latest screen is a P8 4.8m x 1.0m mounted above the entry canopy to the port. Like all their screens it runs Signagelive CMS software and can even be updated live from the ship if needed. For more information on custom screens designed, built and installed by SIS Digital, please contact info@sisdigital.co.uk.